Just Click Here To Be Transported! 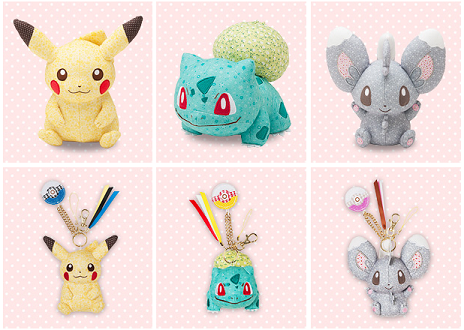 Coming to Pokemon Centers November 23rd... Patchwork Pokemon plush! Or so Google Translate calls them. xD They're so cute! I'm already in love with that Bulbasaur! I'm not sure if this is a one off thing or maybe a new line (depending how well these sell?). I can't read Japanese so I'm not sure what it says about them. I definitely hope there will be more in the future! Some New Gets & Possible Sale? I finally got some new stuff in today, so I finally get to do an update! I also got some new shelves to display my stuff on, so I have a new look for my main collection: Shinx! But first, I figured I'd ask, would anyone like to take this guy off my hands? A seller on ebay listed him with the picture of a large Tomy Oshawott. I bought him thinking that's what he'd be. But of course not. Silly me for thinking so. If no one wants him, I'll be (reluctantly)returning him. (And I say reluctantly because I know the seller is just going to do this to someone else instead.But all the other buyers of this plush seem blissfully unaware of the difference.) I'm asking $25.50 shipped(To the US) for him because that's the price I paid. Question about these keychains how big are they? 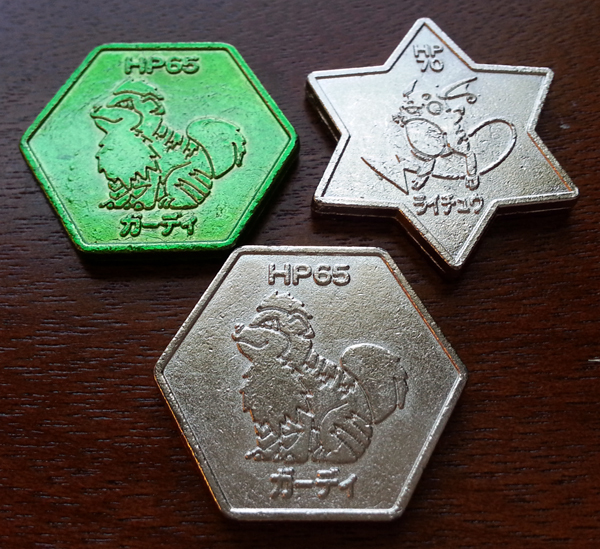 Once upon a time, Mandy fell in love with Pokemon medallions. She decided "I will purchase retail boxes of these medals! Surely, I will find at least one Rattata for my collection of rats, to accompany the Raticate medal I already have!" An embarrassing number of boxes later, still no Rattata. 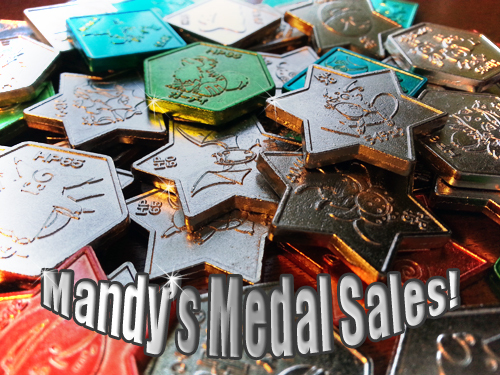 However, a big stack of very cool, solid metal medallions, that Mandy now has for sale! Including three very cool finds for auction! A Growlithe, a Green Growlithe, and a Raichu! There are also some silly laser stickers, because hilariously awful bootleg items can be fun! Does anyone know what kind of merchandise there is out there for Mawile? Particularly non-flats? 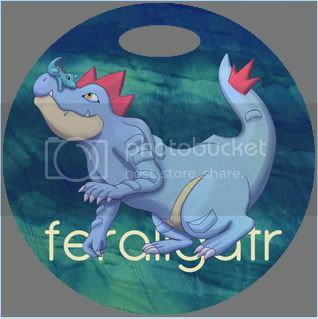 I really like this Pokemon, but hardly ever see merch for it. I've only seen a few bootie figures (I actually own one) and if there's more out there I'd like to know. I'd appreciate it if you told me anything you know in the comments! Thanks you guys! EDIT:: This is not to be mistaken for a wants post, I'm flat broke 'till next week. I'm just curious as to what's out there. 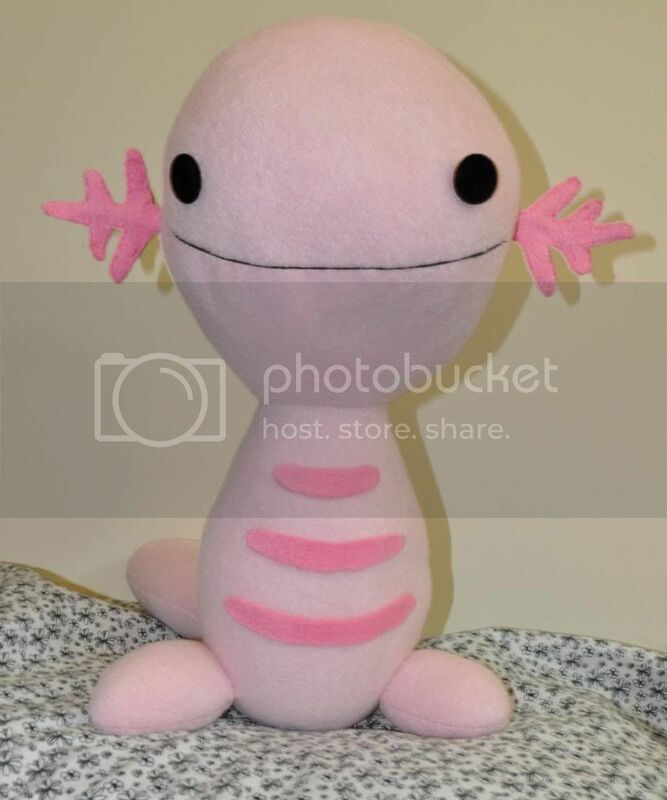 I finished my life size shiny Wooper plush - and he's up for auction! I worked really hard on him, and I love him very much, but I'm in need of more funds. D ': Bills and all that. I am also opening auctions for custom button/bagtag slots. I want to nail down pricing. All auctions end on Wednesday, November 21st at 7 PM EST. 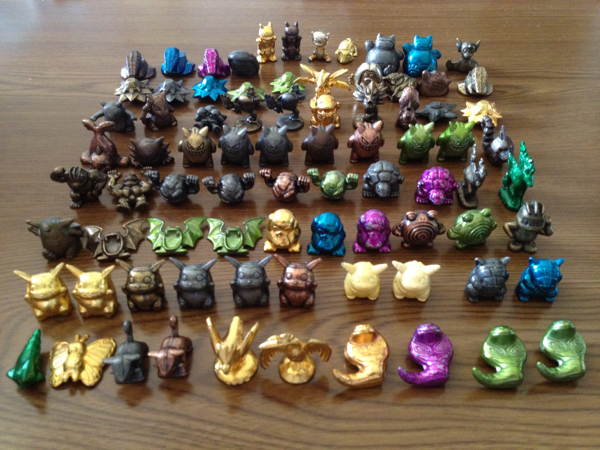 Good evening (or afternoon or morning) PKMN Collectors! I finally got around to doing a revamp of my sales post with plenty of new items and reduced prices! Click here or the preview image to be transported! I'll do my best to answer any questions you may have. :) Happy bidding! 1. THOUSANDS of rare cards, stickers, and other flat items in ALMOST 100 LOTS for sale in my organized, image-heavy post. There are many super duper rare things here that serious collectors will LOVE! 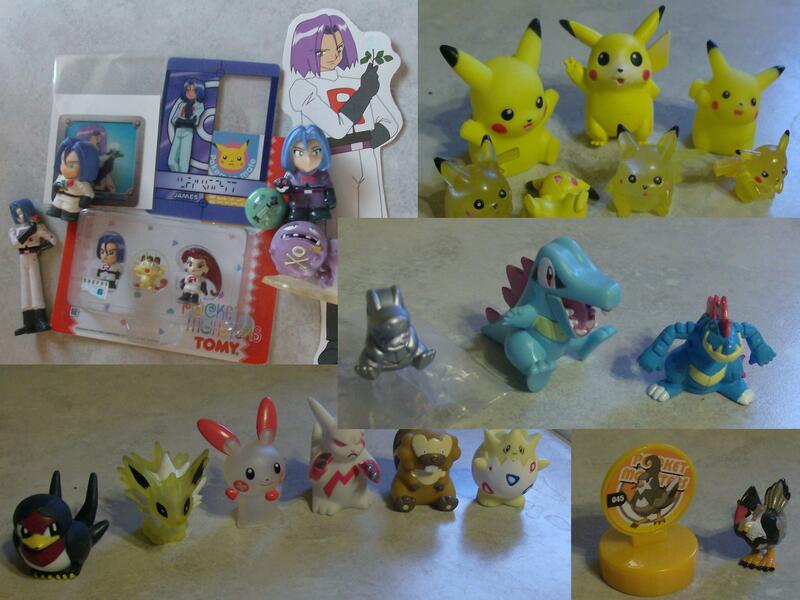 Contains Pokemon items from all generations. 2. 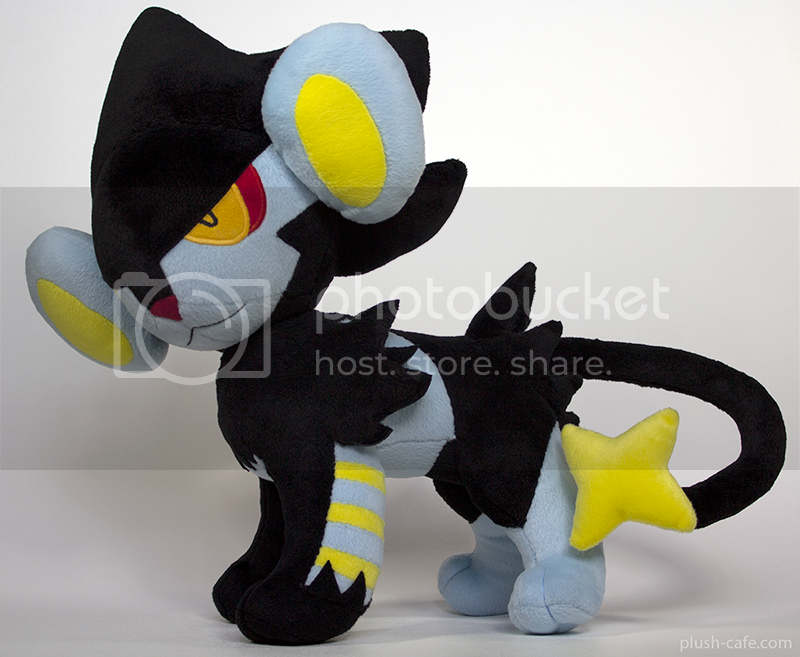 Luxray has been reduced and is for direct sale on etsy: Click here! 3. New Pokemon Kids, plush, and nice big SALE! At Floaroma Pokemart! Click the Cut to see them all! Hey guys so I'm a new member, although you probably know my little sis latias_latios_7, so I just wanna say hi :D My sister is the one who got me into Pokemon, and I finally decided to join this community. I don't too many Pokemon toys unlike her, but I would love to start collecting too! 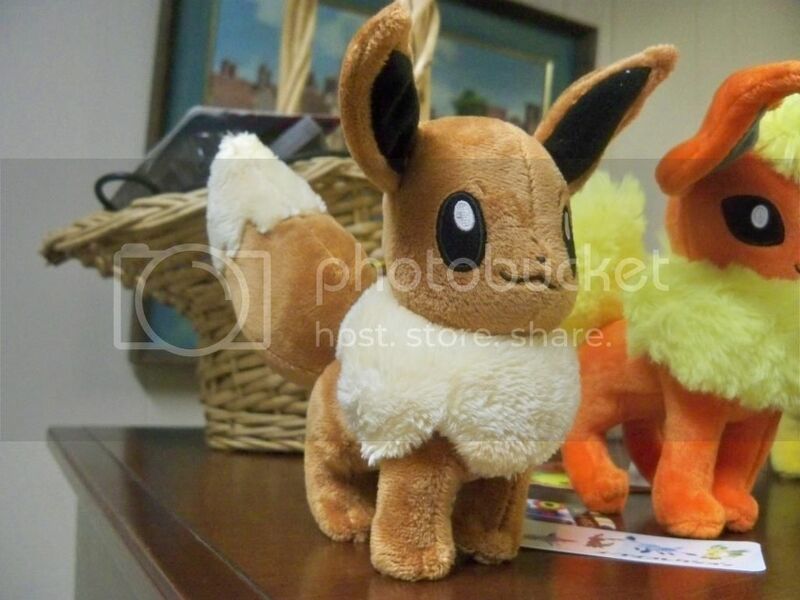 I love Eevee and it's evolutions, so Im wondering if anyone has any of them available (especially the new plushies) for sale for 20 - 25? Also I'm looking for an Espeon for my sis, cause we agreed to each get each other a present for the upcoming holidays~ Also an N keychain of some sort would be cool, or one of the female trainer for myself. I will haggle on cards, discounts available for large purchases. The image collage will bring you to my card sales, though zukan and jakks sales behind cuts resp. Hey everyone sorry for lurking so much. Now I come to you with my list of wants so I can hopefully buy one/some. Also does anyone have any information they can share on the Metagross line zukan please? Just here to give a little collection update, and to introduce you to some collections I haven't shown before! This post is image heavy, so, yeah! Just warning you! … That was meant to be a "preview" banner but it became a "update" banner oh well haha. What is yours called, and how did you think of the name?